Railpictures.ca - Matt Watson Photo: 1003 is one of several switchers at the On-Track Railway Operations Ltd site northeast of Edmonton. | Railpictures.ca – Canadian Railway Photography – photographie ferroviaire Canadienne. Copyright Notice: This image ©Matt Watson all rights reserved. 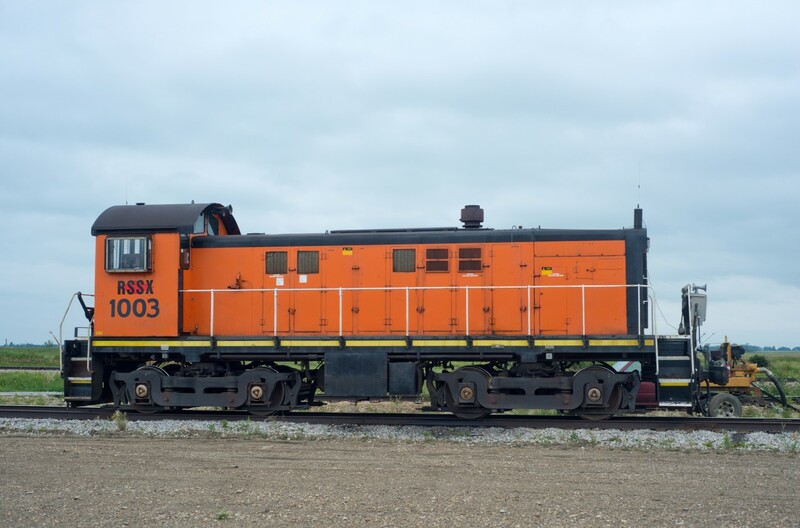 Caption: 1003 is one of several switchers at the On-Track Railway Operations Ltd site northeast of Edmonton. Here is a video of one of it’s fellow Alberta based RSSX units in action. Was this repowered or does it still retain an ALCO prime mover? Originally built as an SP S6, one of a handful that DOW acquired for their switching operations in either the 70′s or early 80′s.